Blockchain and distributed ledger networks are exploding by the day. Migration into new chains is becoming a necessity as more people continue to take note of the emerging technology and its capabilities. The number of blockchain projects is on the rise in part because developers are thinking outside the box as they try to leverage the technology’s capabilities. 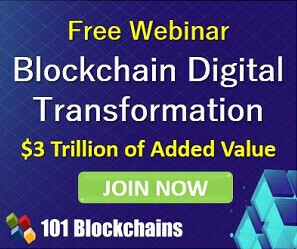 The increase also comes on acknowledgment that no perfect solution will be able to address all blockchain needs at once. A perfect example is the IOTA blockchain that seeks to enhance payments on the Internet of Things. VeChain, on the other hand, shares similar capabilities but with the aim of strengthening supply chain management on the blockchain. Stellar blockchain, on the other hand, seeks to make it easy for people to come up with a global payment network for solving low latency issues in remote areas. Amidst the proliferation of blockchain projects, one thing stands out. All blockchains as well as ledgers and DAGs perform a different set of transactions and handle different amounts of data processing. It is also becoming increasingly clear that there are different networks and blockchains designed for specific labor unions, religions, community organizations as well as government departments. The rapid development of blockchain is set to give rise to many different kinds of chains. One such technology that is becoming increasingly evident is Cross Chain Technology. What is Cross Chain Technology? Cross Chain, technology is increasingly becoming a hot topic of discussion seen as the ultimate solution for enhancing interoperability between blockchains. In Layman terms, a Cross-chain Technology is an emerging technology that seeks to allow transmission of value and information between different blockchain networks. Increased usage of established networks like Ripple, Bitcoin, and Ethereum while a good thing has given rise to many issues key among them being economical and technical scaling limitations. As discussed above most blockchain networks operate on isolated ecosystems as they address they try to resolve a unique set of needs. The fact that the chains operate in isolation has mostly made it impossible for people to enjoy the full benefits the ledger technology. The inability of different blockchains to communicate with one another has made it impossible for people to enjoy the full benefits of blockchain technology. Cross chain, technology seeks to solve all these issues, by enabling interoperability between blockchains thus making it easy for them to communicate with one another and share information. Cross blockchain compatibility, allows different blockchains to communicate with one another without the help of intermediaries. What this means is that blockchains sharing similar networks will be able to transfer value between each other. While in use in a business ecosystem, businesses will no longer have to contend only with clients on a network the business as built on. Instead, companies will be able to transact with clients from other compatible blockchains. The entire process will take place without any downtime or expensive transaction fees. Just as is the case with the Internet of value, cross blockchain compatibility will accord blockchain networks an effective means of value transmission. Ripple is an excellent example of a blockchain project trying to explore cross chain transactions. While it is still in the early days of development, Ripple is trying to make it possible for people and entities to exchange various digital assets across different blockchains. For starters, Ripple has already started helping banks, around the world, settle cross-border payments with one another across different currencies and cryptocurrencies. However, the blockchain project faces an uphill task to polish its cross chain technology. Fusion casts itself as a crypto-financial platform that seeks to enable true cross-chain transactions. The platform aims to make it easy for both centralized and decentralized parties to communicate as embodied by the principles of cross chain technology by enabling interoperability between blockchains. Ripple Cross Chain network seeks to enhance large cross-border transactions. Fusion, on the other hand, aims to enable various financial functions from cryptocurrency trading to cross-organizational transactions. Fusion also comes with a unique security mechanism. While Ripple relies on individuals to secure their private keys, Fusion relies on bookkeeping nodes to control the private network keys. Lightning network embodies the original principles of Cross chain technology. It is, for this reason, it has become the face of cross chain technology as it continues to make it easy for people to exchange currencies between different blockchains. Lightning Network has also made it possible for people to carry out transactions across blockchains without the need of third-party mediators. However, unlike Fusion, it maintains a narrower approach focusing on financial transactions just like Ripple. Just like Ripple, Lightning Network also comes with a string of security issues, as it requires people to secure their private keys. The success of blockchain technology will come down to how different blockchain networks can interact and integrate. 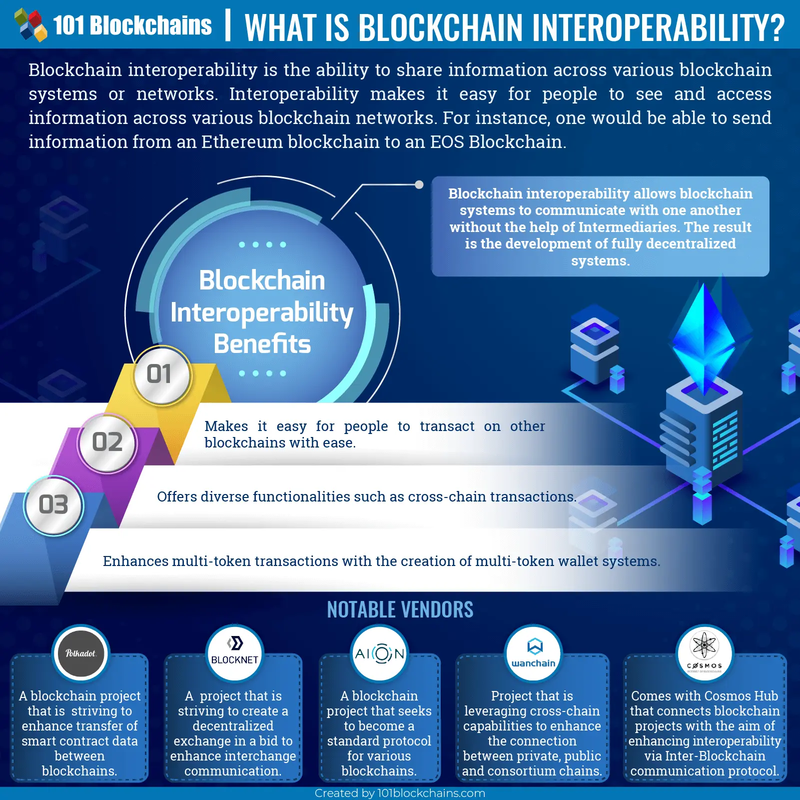 For that reason, interoperability between blockchains is the concept by which different blockchains communicate with one another all in the effort of enabling smooth sharing of information. Interoperability is essentially the ability to see and access information across various blockchain systems. For example, should a person send data to another blockchain, the recipient should be able to read it, comprehend and react with little effort? However, that is not possible, at the moment, as it is impossible to share information between says Bitcoin and Ethereum blockchains. Cross Chain, technology seeks to solve all this by enhancing interoperability between blockchains. Emerging projects are slowly buying the idea as they attempt to come up with platforms that can communicate with one another without the need of a third party. Blockchain interoperability should go a long way in getting rid of intermediaries or third parties, synonymous with centralized systems. The ability of different decentralized networks to communicate with one another without any intermediaries should thus go a long way in giving rise to fully decentralized systems. Interoperability of blockchains is of great importance, as it will go a long way in making it easy for people to transact on other blockchains seamless. Currently one can only transact on one blockchain at a go i.e. Bitcoin or Ethereum. However transferring information between two different chains is not possible. Diverse Functionalities should come into being because of interoperability of blockchains. For starters, people will be able to make payments across multiple blockchains. A fully interoperable blockchain network should thus be the core of the digital economy in future. Blockchain Interoperability should also lead to multi-token transactions thanks to the development of multi-token wallet systems. Such a development will allow users to rely on a single wallet system to for storage and transfer of tokens with ease across various blockchains. 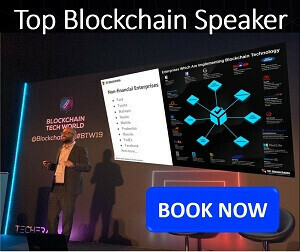 Given the ever-growing need to enhance the connection between various blockchain networks, many developers are already working on optimal solutions. The number of blockchain interoperability projects is on the rise as a result as developers look to accelerate blockchain mass adoption. Below are some of the top projects, looking to enhance blockchain interoperability. Polkadot blockchain is a high profile multi-chain technology taking blockchain interoperability to another level. A brainchild of Gavid Wood, one of the founders of Ethereum, Polkadot seeks to enhance the transfer of smart contract data through various blockchains. The project also aims to make it easy for independent blockchains to exchange information with one another. Polkadot consists of multiple parachains that differ in characteristics. In Polkadot blockchain, transactions can be spread over a wide area given the number of chains in the network. All this is done while ensuring high levels of security on dealings. Polkadot Blockchain interoperability project seeks to ensure a seamless connection between private chains, public networks, oracles as well as permission less interface. The developers behind the blockchain interoperability solutions want to enable an internet where independent blockchain solutions will be able to exchange information via a Polkadot relay chain. The fundamental tenets of the blockchain interoperability solutions are scalability as well as governance. Developers behind Blocknet are currently working on creating a decentralized exchange all in the effort of enhancing interchange communication. Exchanges come with four main components; deposits, actual exchange, order matching and order broadcasting. What Blocknet intends to do is decentralize all the four components all in the effort of creating the first Decentralized exchange. The project backers are also working on optimizing the cross chain platform to serve as infrastructure. Aion online is another high profile Blockchain interoperability project that seeks to address unresolved questions around scalability and interoperability in blockchain networks. Developers are planning to position Aion as the standard protocol used by various blockchains. The end game is to enhance the creation of efficient and decentralized systems. The developers have already come up with a federated blockchain network that makes it possible to integrate disparate blockchain systems in multi-tier hub. Wanchain casts itself as the world’s first online blockchain interoperable blockchain solution, with secure multi-party computing. The cross chain solution seeks to rebuild finance by housing all digital assets on one blockchain. The blockchain interoperability project ensures cross-chain capabilities by leveraging the latest research in cryptographic theories. It also relies on a proprietary protocol that allows interconnection of private, public and consortium chains. The interconnection makes it easy to transfer digital assets between two different blockchains. Based on Ethereum, Wanchain blockchain also enables the deployment of smart contracts. 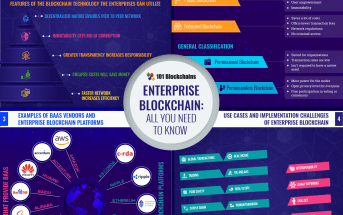 All these aspects make it a compelling blockchain solution for delivering distributed applications that require easy access to different blockchains. Privacy on the blockchain is enhanced by the use of Ring signatures as well as one-time stealth addresses. Cosmos blockchain is the most underrated blockchain interoperability project. The blockchain project is in the race to become the hub of many projects. The developers have since released a software development kit that they say will address scalability and interoperability issues in blockchain projects. Cosmos blockchain architecture consists of several independent blockchains called Zones, attached to a central blockchain dubbed as the Hub. Tendermint Core that enables high-performance as well as consistent and secure PBFT-like consensus engine, powers each Zone in this case. The cosmos Hub connects blockchain projects to enhance interoperability via the Inter-Blockchain communication protocol. Because of the interconnection, people can send tokens from one zone to another in real time and securely, without engaging the services of a third party. Cosmos blockchain can connect different zones from public to private project thanks to the IBC connection. Blockchain Interoperability Alliance is the brainchild of ICON, Aion, and Wanchain, all of which are looking to enhance connectivity between various blockchain networks. The trio is looking to solve issues that have made it impossible for blockchain networks to communicate with one another by enhancing interoperability between blockchains. The trio came together on growing concerns that isolated inter-blockchain communication will continue to put a strain on blockchain scalability and adoption in the mainstream sector. The alliance has already started collaborating on the research of interchange transactions as well as communication. Developing common industry standards as well as sharing research and protocol architecture remains top on the agenda. ICON, which is spearheading the blockchain interoperability efforts, casts itself as a blockchain network focused on connecting independent blockchains without the help of intermediaries. Aion, on the other hand, is in the running to become the common protocol for blockchains, thereby enabling more efficient and decentralized systems. Aion and ICON have already joined Crypto Curve, a protocol level integration developed by Wanchain. 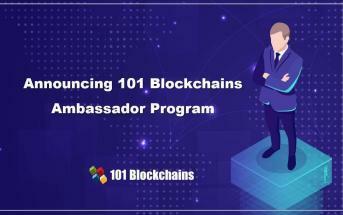 The protocol seeks to enhance the creation of user-driven products and programs for spreading blockchain technology. The CryptoCurve ecosystem consists of Curve Wallet, Curve Lanes as well as CurveSDK. Curve Wallet will make it easy for people to trade and store a vast array of digital assets. Developers under CurveSDK, on the other hand, will be able to build standardized interconnected apps that can work across Blockchain Interoperability alliance. Inability to share and act on data in the healthcare system is a high profile issue that has crippled service delivery in the sector for years. Private, public and government sectors have tried to solve the problem for years, but to no avail. Currently, the healthcare sector relies on centralized server systems for the transfer of vast troves of data between institutions. The downside of this system is that it increases security risks, given that there is no one with control over data while in transit. Interoperability is a big issue in the healthcare sector as studies show that 86% of providers in the industry are not able to share critical health care information with ease. While most vendors have implemented interoperability solutions, most of them work exclusively within a given ecosystem. It is often expensive to come up with a solution that would ensure the smooth transfer of healthcare data within the entire sector. Amidst the challenges that healthcare continues to face in the race to achieve ubiquitous interoperability, blockchain is slowly emerging as the technology that could help alleviate the pain points. Data control has always been a big issue in the healthcare sector. However, with blockchain interoperability, healthcare players could soon be able to maintain control over their data. 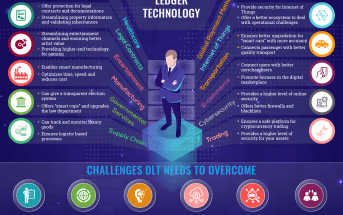 The digital ledger technology boasts of one of the highest levels of security that would reduce cases of unintended data sharing as well as fears of incorrect modifications. Blockchain allows the implementation of immutable keys with read/write access logs. Currently, only 35% to 40% of healthcare data is encrypted. However, with the use of blockchain interoperability solutions, all data could come encrypted by default. A standard of encryption by default is the ultimate solution that will help mitigate risks stemming from data breaches. Blockchain interoperability in the health care sector also has the potential to reduce overhead and enhance efficiency. The use of smart contracts should go a long way in eliminating the need for intermediaries. The result should be automatic processes that act on relevant information across different players. The most significant headwind in the interoperability between blockchains in the healthcare sector pertains to governance. Such solutions will only see limited traction should the industry fail to come to a consensus on governance structures. Players in the whole sector need to agree on governance structures, focusing on interoperability standards. While there is some progress in this front, it could take some time. Additionally, sector players will also have to evaluate various blockchain based healthcare platforms to see which one addresses their needs. Vendors such as PakitDok as well as Change Healthcare and Gem have made impressive strides in building out Blockchain interoperability solutions for the sector. The biggest challenge to interoperability between blockchains has to do with the fact that there are many blockchain systems, which do not speak the same language. For starters, many complex platforms in use come with varying levels of smart contract use. Transaction scheme, as well as consensus models in these projects, also differ a great deal, for any form of interconnection to happen. To overcome some of the underlying issues crippling blockchain interoperability, then there is a need to turn to a technology that enables universal communication between various blockchains. The use of open protocols, as well as Multi Chain Frameworks, are touted as possible solutions to blockchain interoperability issues. The use of open Protocols should go a long way in enabling standardized pathways through which various blockchains can communicate with one another with ease. Such protocols provide the universal language for blockchains that enhance communication. A perfect example of an Open Protocol for blockchain interoperability is the Atomic Swap. Acting as decentralized escrow cross chain, Atomic Swap makes it possible to exchange value between two varying blockchains such as 1BTC for 1ETH. The whole transaction takes place without the use of an exchange or an intermediary. 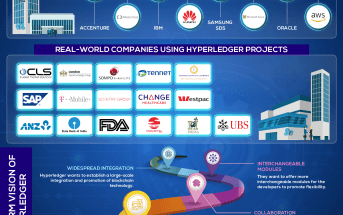 Interledger is another example of cross chain blockchain that utilizes atomic swap protocol. Multi-Chain frameworks on the other hand act as open environments through which blockchains plug into. Unlike Open Protocols, they are more complicated. However, they help facilitate open communication and transfer of both value and data between different blockchains. With Multi Chain Frameworks, blockchains can plug and become part of a standardized ecosystem to be able to share information. It is for this reason that most of the time they are called the Internet of blockchains as they offer unique and promising capabilities when it comes to blockchain interoperability. Cross chain technology and blockchain interoperability are essential aspects of blockchain technology as discussed above. The two concepts are poised to not only widen the scope of cryptocurrency use but also accelerate blockchain adoption. Cross chain, technology on its own has the potential to address scalability issues that have crippled blockchain ecosystem for years.